What is a Combination Disturbance? 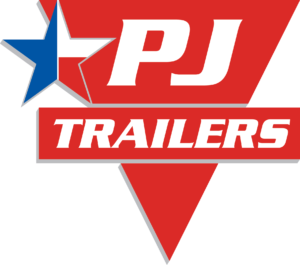 When you’re towing a trailer, it’s extremely important to drive with great care. If you don’t, you’ll not only be risking the safety of your passengers but also others on the road as reckless driving can lead to a combination disturbance. Let off the gas pedal. You should never increase your speed in an attempt to control a combination disturbance. Do not apply your brakes. Braking during a combination disturbance can lead to loss of control of your tow vehicle or a crash. Hold your steering wheel in a straight-ahead position. Don’t try to control the combination disturbance by turning your steering wheel. Steering during combination disturbances can also lead to loss of control of your tow vehicle or a crash. Check your cargo to ensure the load hasn’t shifted. If so, be sure to rearrange so that your trailer is loaded heavier in the front. Inspect all tires to ensure they are properly inflated and that all lug nuts are tight. Make sure your trunk or rear cargo area of your tow vehicle isn’t overloaded. When you begin towing again, maintain a speed no greater than 55 miles per hour. If you don’t resolve a combination disturbance right away, you could wind up in a dangerous situation that could put yourself and others in harm’s way. Take great care to avoid combination disturbances and always be alert when towing so you can address combination disturbances right away.